Before it is marketed, vine propagating material (plants and cuttings) must be classified as one of the following: initial material, base material, certified material, standard material and experimental material. Before it is marketed, vine propagating material (plants and cuttings) must be classified as one of the following: initial material, base material, certified material, standard material or experimental material. All marketed lots must bear a colour-coded certification label indicating its category (blue for certified material). Certified clone material is classified as initial, base, or certified. For clone material which is not derived from breeding programmes, material is marketed as standard material with yellow labels. Marketing of rootstocks (cuttings or root-bearing plants) of standard category is prohibited. FranceAGriMer, the French national organisation for agricultural and sea products, is responsible for monitoring production and certifying propagating material before it is marketed. This competence applies to all categories of material, including material grown for self-use. 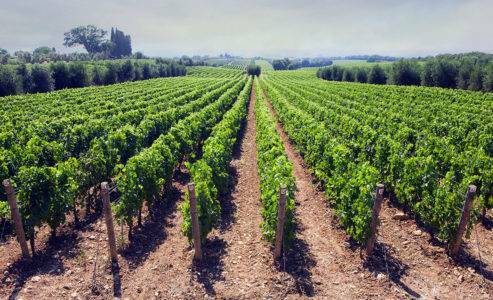 Persons and institutions engaged in activities of production, marketing, and/or distribution of vine propagating material must be registered with FranceAgriMer. Certification labels are also issued and delivered under their control.